Bollywood actress Sonam Kapoor has always kept her personal life under wraps and has claimed that she is single but her social media pictures suggest otherwise. In recent, her pictures with alleged boyfriend Anand Ahuja are quite in the news and have grabbed all the attention. 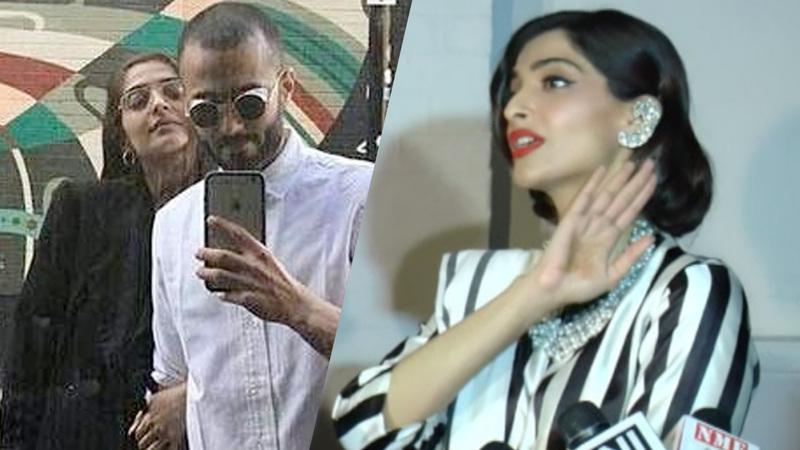 Though Sonam Kapoor has not accepted being in a relationship but reports suggest that the actress is soon to make her relationship with Anand Ahuja official. The actress insulted the reporter and made her mouth shut by calling her mad and also said that if anything such happens, it will be all over on the social media. Ok then! On the work front, Sonam will be seen in the Sanjay Dutt biopic. The actress will also feature in Padman with Akshay Kumar and her home production, Veerey Di Wedding that also stars Kareena Kapoor Khan. Next articleWatch: Manveer Gurjar And Nitibha Kaul Get Cozy At Bigg Boss 10 Party. What’s Brewing?